Paramount Wire Company has the ability to spool wire as thin as .006″ to as thick as 1.05″ diameter. 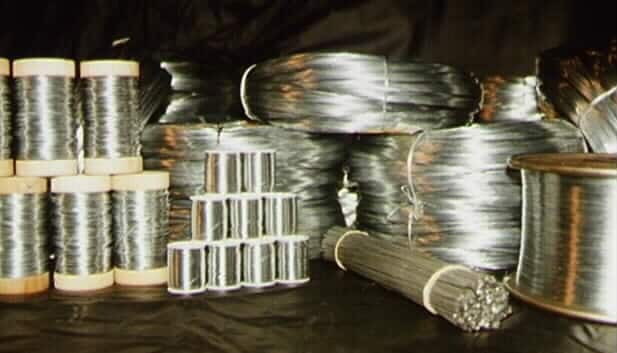 We can spool soft wire or hard wire. We can also make spools of nearly any distance or weight; as short as six feet of wire on a spool to as large as 500 pounds on a spool. If you need wire on a spool, PWC can do it for you. SHOWN (from left to right): 24 Galv. on one pound spools; 34 Galv. on 10 yard spools; 28 Galv in 15# coils; 16 Galv straightened and cut 10″; and 26 Galv on 15# spools.